Thank you for visiting our website! 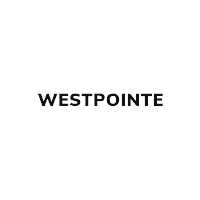 We know looking for a new car can be a big undertaking, and that’s why all of us at Westpointe Chrysler Dodge Jeep RAM want to make the process as simple as possible for you. How do we do that? Let us show you the four big ways we can make the car process easy. Here, at Westpointe Chrysler Jeep Dodge, you can take as much time as you want to explore our New Car Inventory without ever feeling any pressure. Discover all your options while looking through our vehicles, including the Jeep Wrangler, Jeep Cherokee, Dodge Charger and Dodge Challenger. We also know that the RAM 1500 and Chrysler Pacifica are very popular models around OKC, so we make sure to keep a wide variety of trims and models in stock just for you. If you have any questions about any of our cars, trucks, crossovers or SUVs, one of our representatives would be more than happy to assist you. In fact, our managers have over 100 years of combined experience in the industry. Our selection continues with our amazing assortment of used cars on our lot as well. We want to ensure that you find the perfect vehicle, and that is why we have a comprehensive inventory of different makes, models and trims. Do you want to know more about one of our used cars? Contact us online, or call 405-265-1400405-265-1400 today. Our customer service doesn’t stop when you purchase a vehicle with us; we also have a state-of-the-art Service Department that handles everything from routine maintenance to major repairs. Whether you need an oil change, tire rotation, battery replacement, or bodywork, we will get it done for you in a timely manner. And with our Express Lane we can get many of our services completed without an appointment. But if you want to set up a time, we make it simple. You can schedule service here, or call us at 405-265-1400405-265-1400. If you are looking to do it yourself, Westpointe Chrysler Jeep Dodge keeps a comprehensive inventory of genuine MOPAR parts as well. Don’t worry whether or not you can afford your next vehicle because, at Westpointe Chrysler Jeep Dodge, we make sure to get you the vehicle finance that fits your budget. We make it simple to estimate your trade value, apply for financing and to get pre-qualified in seconds for your next vehicle. Discover your options with us right now.